Optimize the performance and behavior of your Windows® 7 machine! 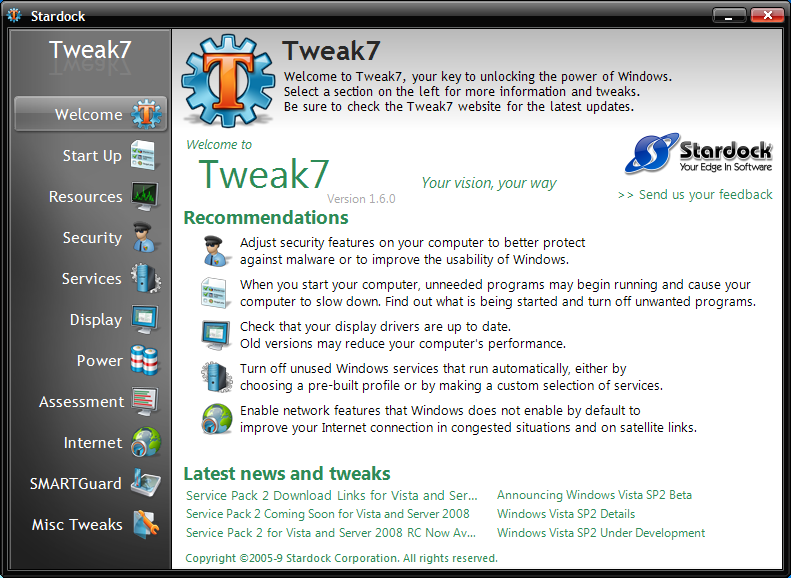 Tweak7™ is designed to be the ultimate one-stop tweaking utility for Windows 7 users. It contains dozens of features that encompass nearly every conceivable system tweaking option desired. What makes Tweak7 particularly special is that it is not just designed for power users. Instead, its features have been carefully crafted for casual, non-technical users as well. All users can now comfortably configure advanced features in clearly labeled, easy to understand language. Add shortcuts to a Tiles page with ease - simply drag your application onto the bar. Create pinned icons for long-term shortcuts. 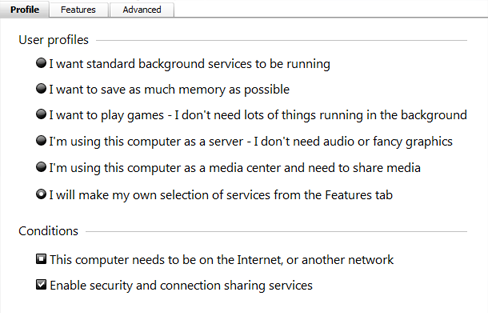 Choose to include system tray icons and eliminate the need for a task bar. 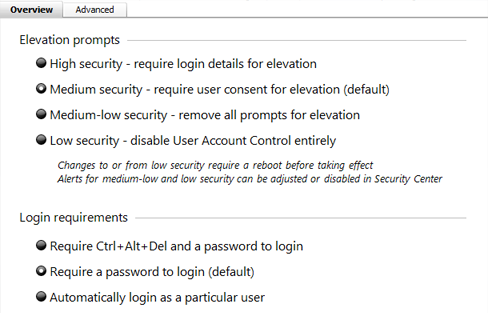 Adjust security features on your computer to better protect against malware or to improve the usability of Windows. 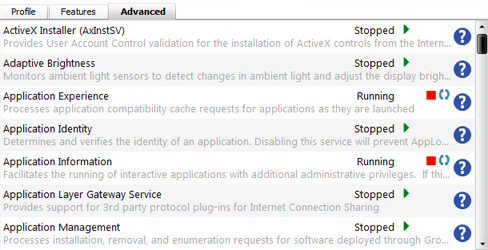 Check that your display drivers are up to date. Old versions may reduce your computer's performance. Enable network features that Windows does not enable by default to improve your Internet connection in congested situations and on satellite links. Please enter your email address to be sent a download link for Tweak7.